Generating positive feedback from your customers is one of the most effective ways to demonstrate that you have what it takes to build successful relationships and offer borrowers what they need. Word of mouth drives nearly 75 percent of all customer buying decisions, and 63 percent of customers say they are more likely to use a service or buy a product from a business with positive reviews. There are steps you can start implementing today to regularly generate borrower testimonials that highlight your exceptional service and products. Post-closing surveys. Make it easy for your customers to give you a testimonial by giving them a vehicle. Include a request for a testimonial on your post-closing client satisfaction survey. Email the survey shortly after closing, and if they don’t respond online, mail them a hard copy. Make sure to include a question asking for permission to use their comments. Smart strategies. Turn your best customers into a discrete sales force by choosing those who will praise the products and services you want to focus on. If they address a problem that potential customers are looking for a solution to, you increase your ability to leverage the testimonials into additional revenue. The advantage of social media. Mine your social media platforms for customer results and comments. 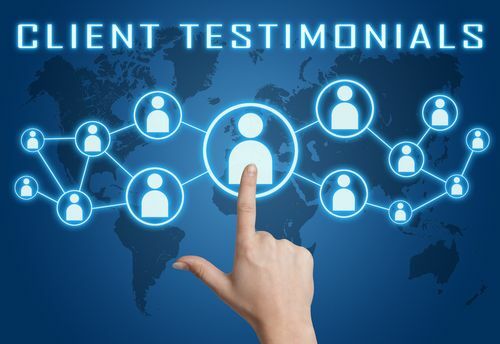 Facebook and Twitter can be the motherlode of client testimonials. Ask for permission to use their post as is, or use their comments as a jumping off point for an expanded review. Use a diverse selection of testimonials that concentrate on one specific category and make sure they mirror and target your ideal buyer personas. Use them in blog posts, on your website and social media. Include them in direct marketing and advertising. Compile a “brag book” to show prospective borrowers. Use video testimonials on your YouTube channel. Ask the reviewer to share their review on their own social media accounts. How are you currently generating borrower testimonials?